Solid pickup handles big chords and difficult arpeggios with ease. 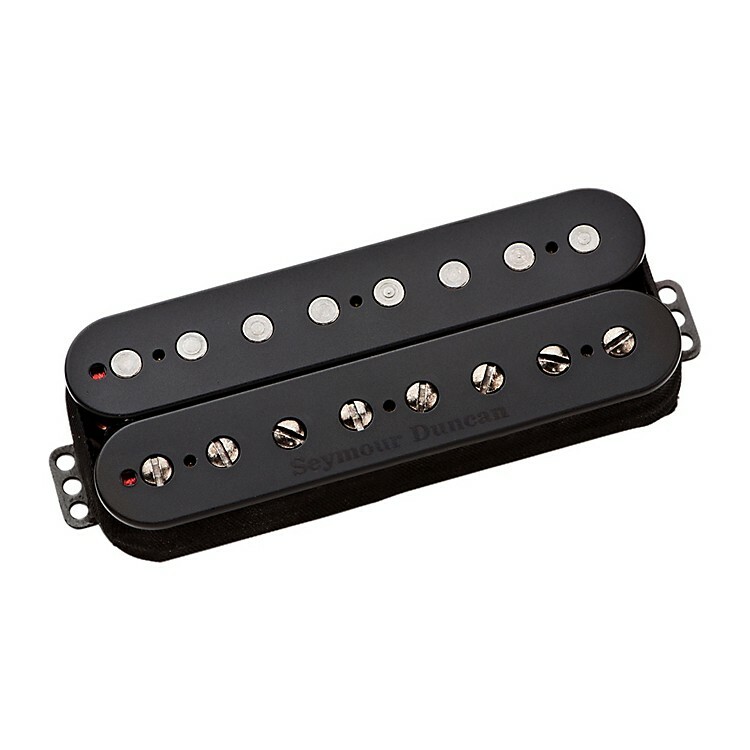 With the rise of Progressive Metal, Seymour Duncan wanted to offer a bridge pickup specifically for 8-string guitar players that could evenly accentuate every note on the fretboard no matter how much gain was thrown at it. The Pegasus uses an Alnico 5 magnet and custom-designed coils for tonal balance and moderate output. Huge chords and complex arpeggios are equally perfect. Bridge only. Designed to be matched with the Sentient neck. This 8-string passive version has a black metal cover. It's best with bright to semi-warm woods (from maple to korina) with either maple or rosewood fingerboards. Trust your tone to Seymour Duncan like so many others have over the years. Order today!